A well-managed email list has the potential to be one of your most profitable sources of construction clients. 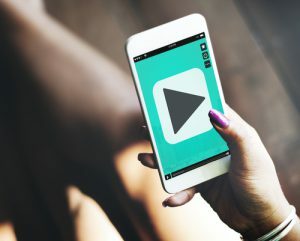 Following some proven email marketing best practices will help you better connect with your readers and turn them into paying clients. The more closely you tailor your emails to your prospects’ needs, the more likely those prospects are to see the value in working with you. Dynamic content, which changes based on the end user, is an efficient way to accomplish this. This can be as simple as including the reader’s first name or as advanced as basing the email’s content on the topics the reader has been exploring on your blog. Write in a conversational tone that lets readers feel like they’re communicating with a person rather than a faceless company. When the opportunity arises, share personal experiences that tie in with your services. You might talk about how much a friend of yours loves his newly renovated kitchen or how a news story you read reminded you of the safety issues involved in multi-family housing construction. 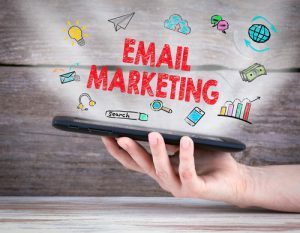 Strategically mentioning the obstacles and even failures your firm has faced is another of the email marketing best practices to follow to make your firm more relatable and likeable. Run polls that let them offer their opinions with one click. Share your clients’ successes to motivate readers to write in with their own. Remember to include a link back to your website and encourage your readers to contact you. On your unsubscribe page, give the reader a chance to tell you why they’re leaving. Today’s email marketing best practices don’t take much time, but they can make all the difference in how profitable your list becomes. Whether you’re planning your first company website or redesigning your existing one, knowing what to include will help you create a site that can attract new construction business effectively. Essential business information – Visitors should understand exactly what you do within seconds of landing on your site, so include a clear description on your homepage. Then instead of listing all your services on a single page, create separate pages for each that allow you to go into more detail. Help your visitors get to know and like you by including an About page that shows your firm’s relatable human side. Dedicated contact page – To make it easy for prospects to get in touch, create a page with a contact form, your email address, your phone number, and if appropriate, your office address and working hours. Include links to your social media profiles so prospects can contact you on Skype, Twitter or another platform they prefer. Visible call to action – Include a strong call to action in your header or sidebar where your visitors will see it without having to scroll. You might invite your visitors to call for a strategy session, sign up for your email list or download free information. Portfolio – A well-developed portfolio lets you show would-be clients what you’re capable of and how you do things differently from your competitors. When possible, hire an architectural photographer who can show your work off to its best advantage. Include completed projects and works in progress. Add descriptions of the goals, challenges and accomplishments related to each project. Testimonials – Your satisfied clients are some of your most valuable assets when you’re trying to attract new construction business. Listing testimonials on a dedicated page is one option, but you can also strategically position short quotes from happy clients on your other pages as well as in your sidebar. A website that can attract new construction business is one that’s detailed and easy to navigate. Include information and design elements that make it easy for visitors to see the value in your expertise and you’ll be well on your way. You didn’t put all that work into bringing in sales leads only to lose them at the last minute when they don’t convert. 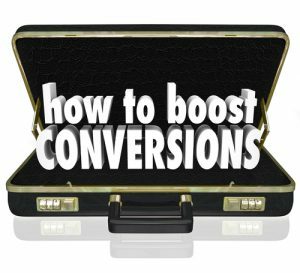 By using proven construction lead conversion strategies, you can more easily win over your prospects and get more out of your marketing. In a high-stakes field like construction, converting a cold lead to a paying client is a process. Spend time educating and building rapport with your leads from the time they first discover your firm and by the time they call you, they’ll have already sold themselves on your services. One of the most effective ways to nurture your leads is through an email newsletter or automated campaign that provides relevant, helpful content. Segment your email lists based on your prospects’ interests, such as industrial construction or health facilities construction. While persuasive calls to action are critical in the construction lead conversion process, exactly what you invite your would-be clients to do makes a difference in how well they convert. An offer like “call for a free consultation” is a common approach, but it’s not particularly enticing. Instead, offer a solution-oriented strategy session. When a prospect calls, take them through a defined process. First learn about their current situation and challenges, then get a clear picture of what they want to accomplish. Finally, show them how your firm can bridge the gap and ask for the sale. It’s often said around 80 percent of major sales occur after at least five follow ups. Even the most interested prospect may be busy or distracted and unable to get back to you when they expected to. A well-designed follow-up system helps ensure your potentially profitable leads don’t fade away. Instead of emailing to “check in,” provide context and be specific about the response you’re looking for. Ask if they’ve had time to consider your proposal, request a quick call or offer a valuable resource and ask for your prospect’s opinion on it. Some of the most valuable lead generation tips you’ll ever receive are those that help you understand your ideal construction clients’ needs. Follow a few proven methods for finding out why prospects visit your site and you’ll be better equipped to position your firm for sales. If you’re not using an analytics tool to see how your visitors interact with your website, you’re missing valuable information. Tools such as Google Analytics, Piwik, and Open Web Analytics can get you started, though there are also numerous paid options. These tools tell you which of your pages are most popular, how many pages each visitor views and for how long, and how your visitors move through your site. If you discover many of your visitors want to read about planning a mutli-family residential construction project, you’ll know to publish more content that helps them do that. You can then drill down into that subject by covering issues such as ADA requirements, fire safety, and noise control to again see which topics attract more readers. Sometimes all you need to do to find out what your visitors are trying to accomplish is ask. End your blog posts with specific questions related to the post’s topic. If you write about solutions for noise control in a luxury apartment complex, ask your readers what problems they’ve faced in this area. Invite them to leave a comment or contact you to talk more about the issue. Hold polls and surveys your visitors can answer right on your website. 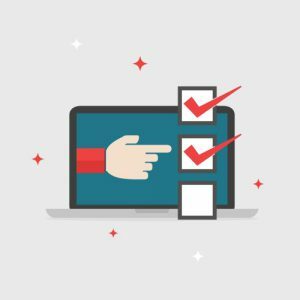 For a simple poll, you might choose three common problems and ask your visitors which one poses the biggest challenge for them. Prospects on your email list can help you follow these lead generation tips, too. 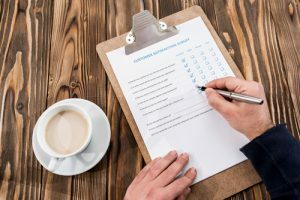 Send out a survey asking about the problems they’re facing, the kinds of existing services that interest them, and what services they’d like to see, but haven’t been able to find. By watching your web stats and encouraging interaction, you’ll get a clearer idea of what your target clients hope to get from you.